A consultation process has resulted in lobbying from the industry to ensure that cheese advertising is not banned. THE BROADCASTING AUTHORITY of Ireland (BAI) has confirmed that the advertising of foods that are high in fat, salt and sugar will be banned from children’s programming from September. 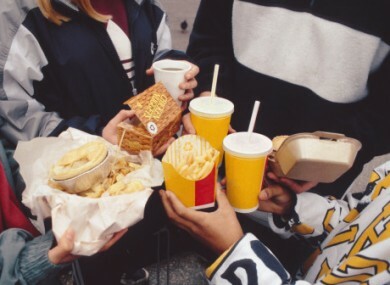 Michael O’Keefe, chief executive of the BAI, told RTÉ’s Morning Ireland that the new rules will also mean that outside of children’s programming, there will be restrictions on the number of junk food ads after 6pm to not more than 25 per cent of the time. However controversially cheese will not be included in the ban following a lobbying campaign by the industry. The food type had been included in the original draft code released by the BAI prior to a consultation process. “We will allow cheese advertising but there will have to be an on-screen message,” O’Keefe told Morning Ireland, adding that health groups had looked for the authority to go a lot further in the code. He insisted that the BAI had not “buckled” under pressure from lobby groups and pointed out that there are health benefits to cheese. O’Keefe said that the authority would be working with broadcasters and advertisers in the coming months ahead of the full implementation of the new rules on 2 September. Email “Junk food TV ad ban to begin in September, but cheese is excluded ”. Feedback on “Junk food TV ad ban to begin in September, but cheese is excluded ”.